Cardinal Crew is a group of vibrant and active students, organized by the Office of Enrollment Management, to help enhance campus life and give students the opportunity for professional development that will assist them in future professional and academic pursuits. Crew members enhance campus life by participating as campus ambassadors, organizing campus wide events for their fellow students, and volunteering to help with campus initiatives. 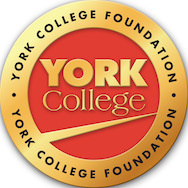 Crew members are also required to participate in personal enrichment activities through York's Career Services Office and other professional development events exclusive to Cardinal Crew members.